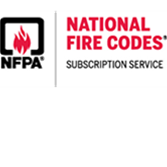 Virtually every building, process, service, design, and installation is affected by NFPA’s 275+ codes and standards. Our codes and standards, all available for free online access, reflect changing industry needs and evolving technologies, supported by research and development, and practical experience. 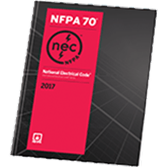 NFPA® and ICC® codes reference various organizations’ standards within their requirements, and, once the code is implemented by the Authority Having Jurisdiction (AHJ), these referenced standards are a legally enforceable part of the code.